Marcus, Jon. "From Nieman Reports: How journalism schools are trying to connect classroom to newsroom." Nieman Journalism Lab. Nieman Foundation for Journalism at Harvard, 18 Jun. 2014. Web. 23 Apr. 2019. Marcus, Jon. "From Nieman Reports: How journalism schools are trying to connect classroom to newsroom." Nieman Journalism Lab. Last modified June 18, 2014. 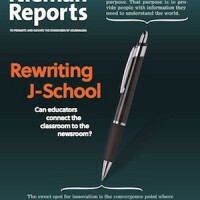 Accessed April 23, 2019. https://www.niemanlab.org/2014/06/from-nieman-reports-how-journalism-schools-are-trying-to-connect-classroom-to-newsroom/.